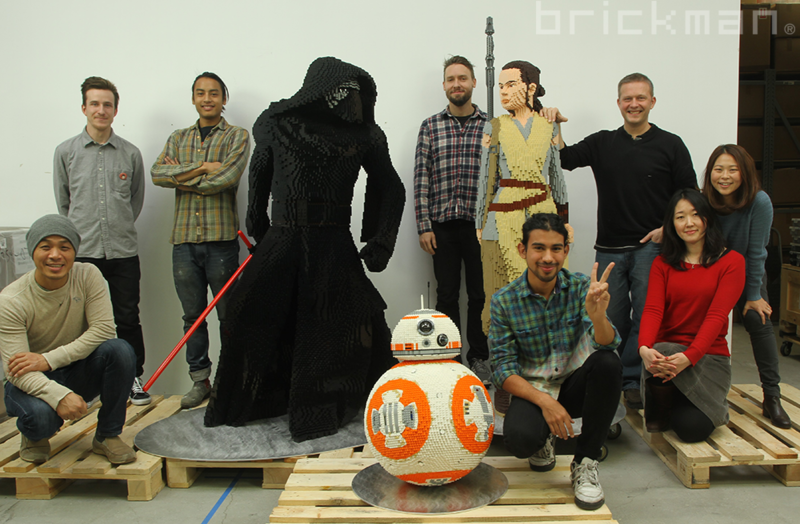 Back in 2015 we were given a super-secret project: to build life-sized LEGO​® brick versions of characters from the then upcoming Star Wars The Force Awakens​ for the red carpet premiere in China! 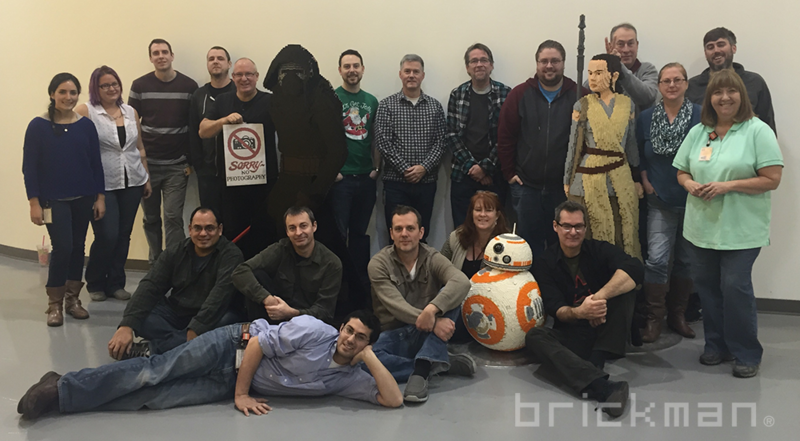 We built models of Rey, Kylo Ren​ and BB-8, with each presenting a whole heap of different challenges. 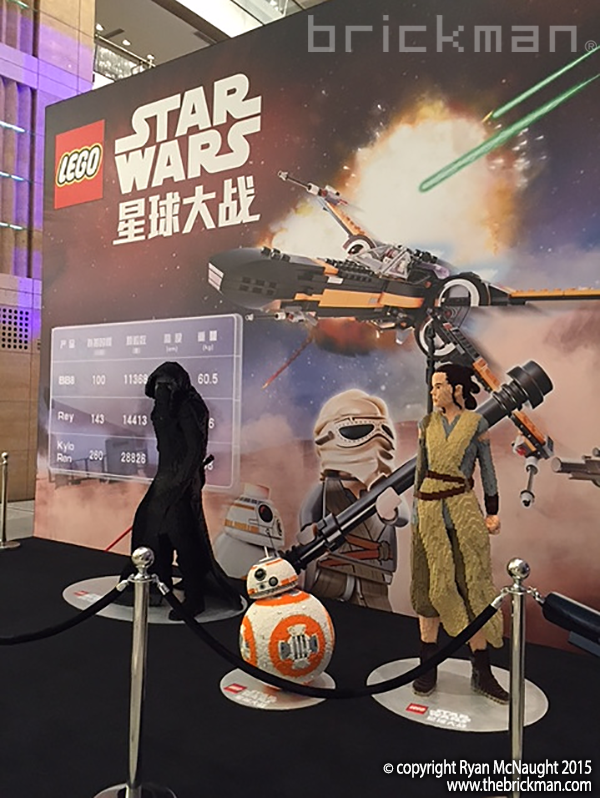 All of the models were pre-designed by LEGO with build templates ( not instructions per se) sent around the world to various build teams. Rey was relatively straightforward apart from the very limited range of “flesh” tone parts we had available to us as well as the dark brown of her hair. 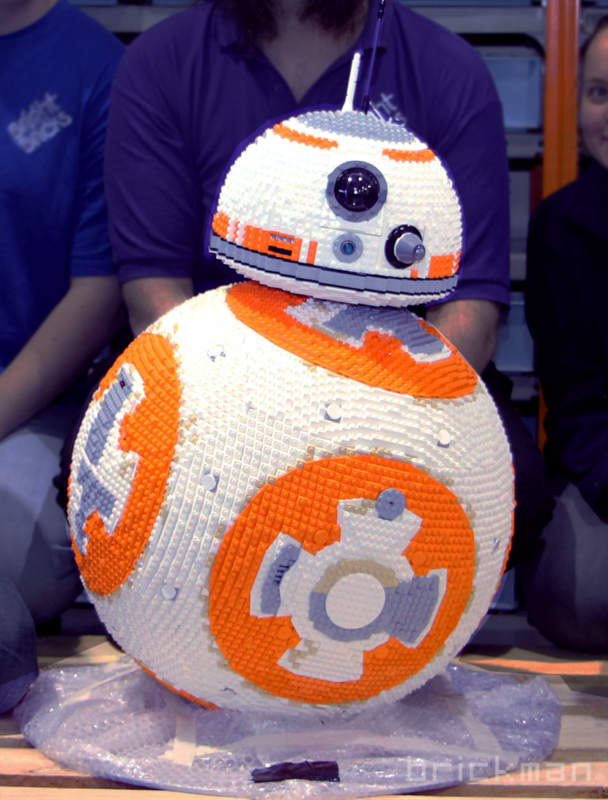 BB-8 was built as a giant Lowell Sphere with huge plate built panels that fit around a solid brick core to form BB-8’s spherical “body” and designed by the amazing US Master Model Builder Eric Varszegi. 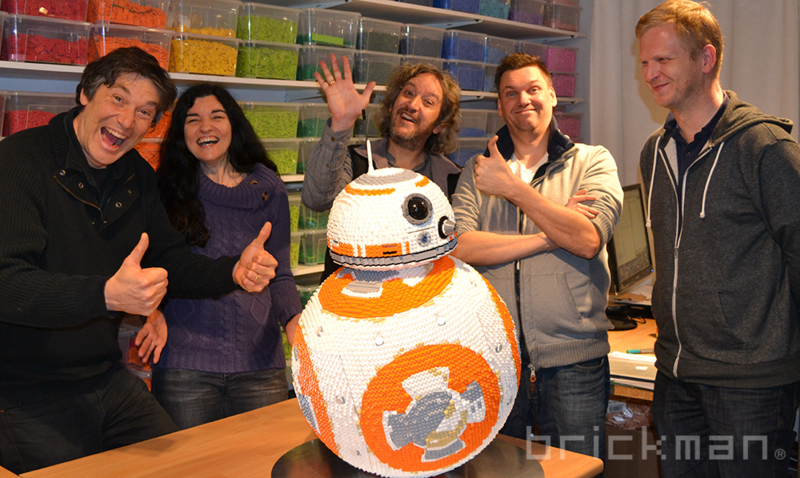 BB-8 was a little harder and certainly more fiddly than Rey with all of the details built with small plates! 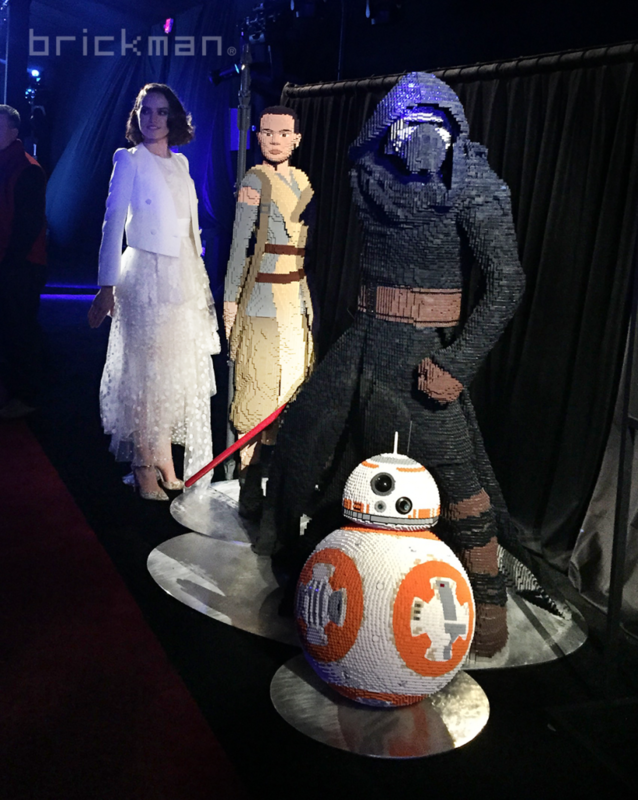 Kylo Ren was definitely the toughest of the three. 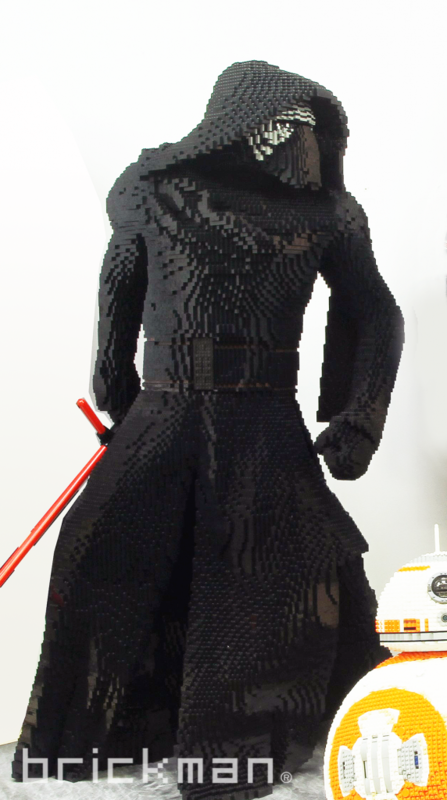 His menacing half-crouch stance and flowing robes was really difficult to get right and strong enough. And working all in black made it really hard to see where you were up to and if you had to fix any mistakes! 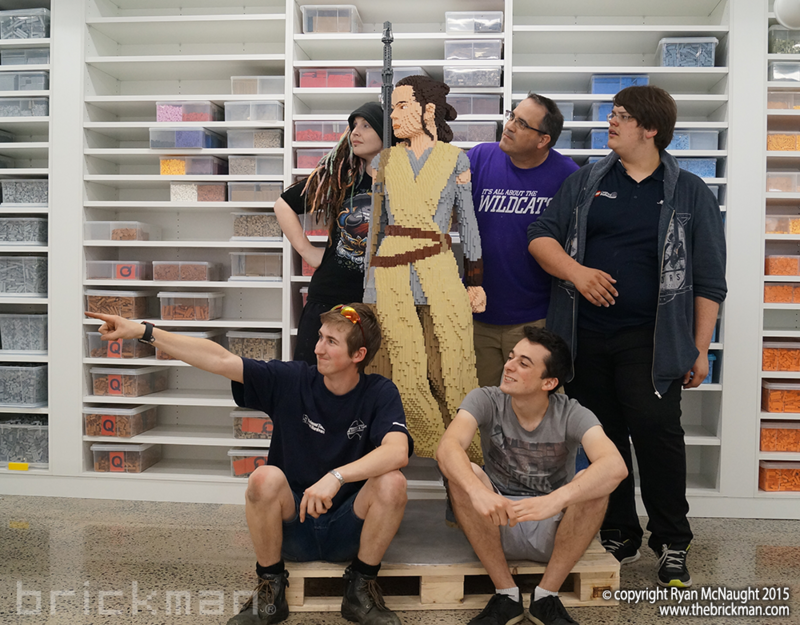 We competed with our fellow LEGO Certified Professional build teams around the world, who were also building the same models for other premieres, to see who could build them the fastest! 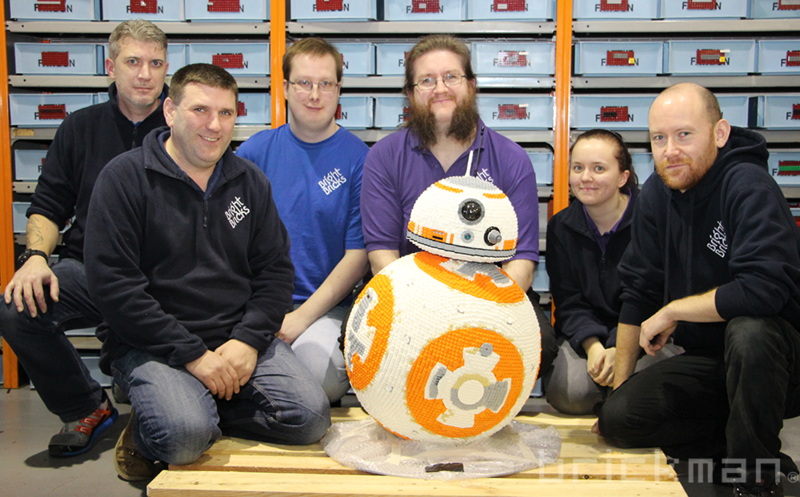 We managed to build BB-8 the fastest, but the other teams beat us on the other 2, but still, we won on at least one of the models!